Willie Mays is Barry Bonds' godfather, and so Bonds is the one who is always treated like the heir to Willie Mays, as if he were the closest thing we have had to Mays in the more than 40 years since Willie stopped playing baseball. Only Bonds is not, was not even before he started playing his game of shadows and looked as if he had borrowed somebody else's super-sized body for the second half of his career. 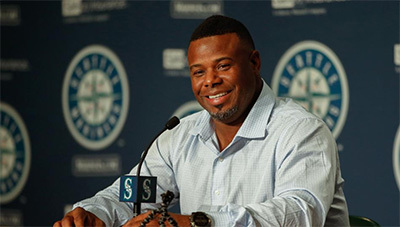 Ken Griffey, Jr. was our Mays. It was Junior, the kid who didn't just play center field the way the Say Hey Kid did, but who played the game with the same kind of joy.